Every year, there's at least one beauty releases that would capture my heart. 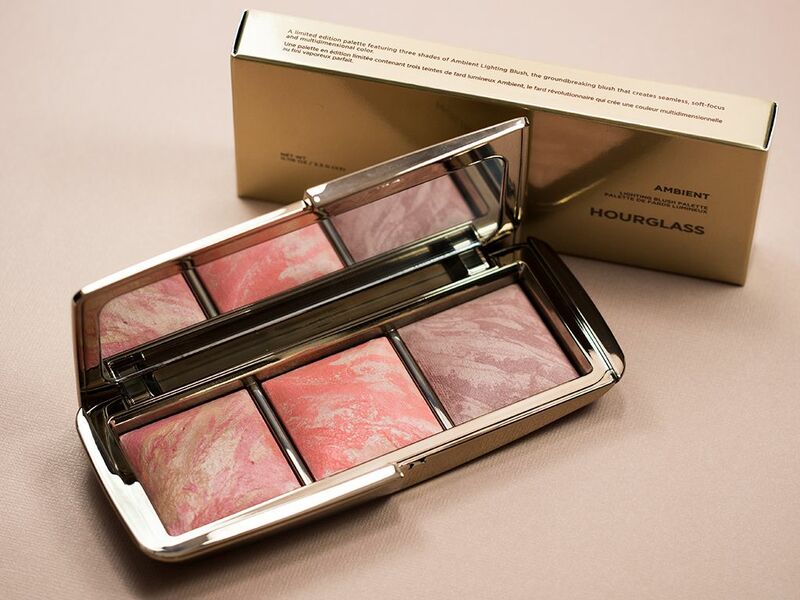 And I fell fast and hard for the Hourglass Ambient Lighting Blush Palette (CA $67 / US $58). 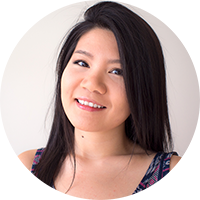 One of the perks of being a beauty junkie who shops at Sephora way too much is the VIB Rouge status. Ya, thanks to that (I guess thanks to me!? 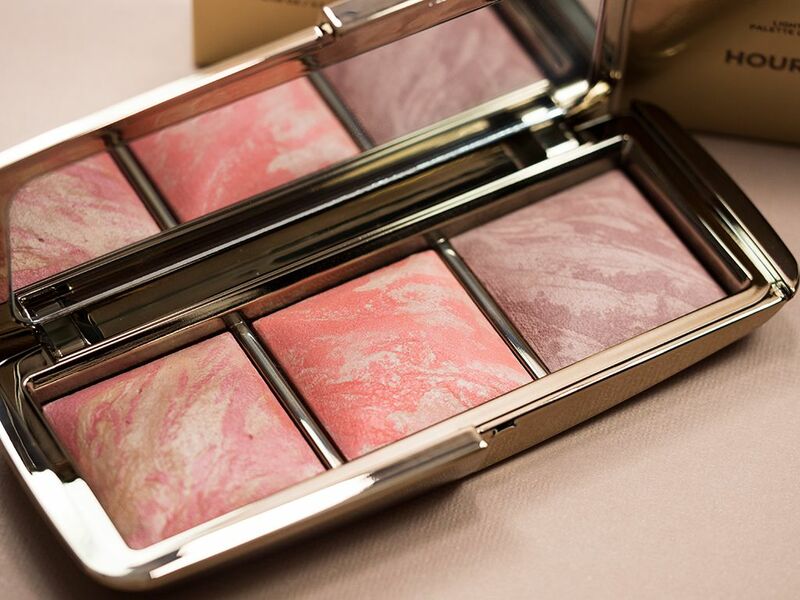 ), I was able to snag the much anticipated blush palette early. And now it's available for everyone to purchase! HUZZAH! 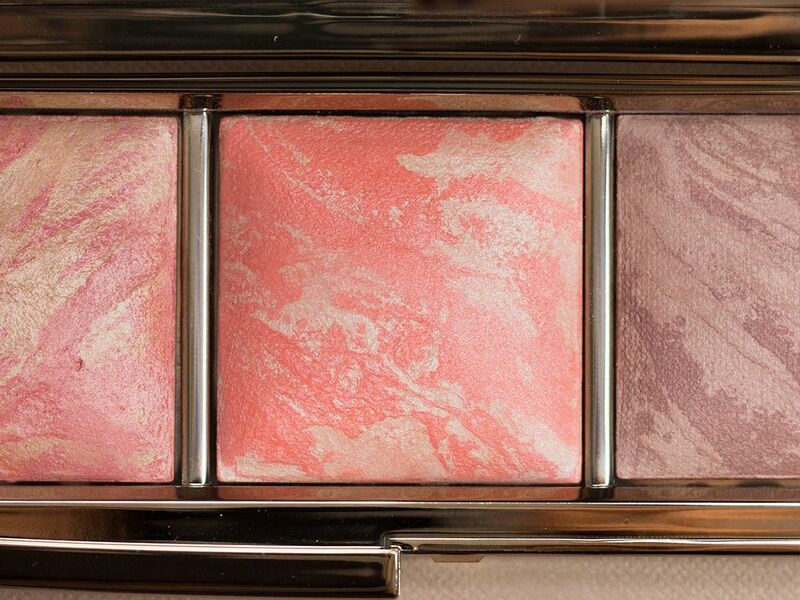 Oh man, I have been lusting after this palette for months ever since a sneak peek picture popped up on the Internet. 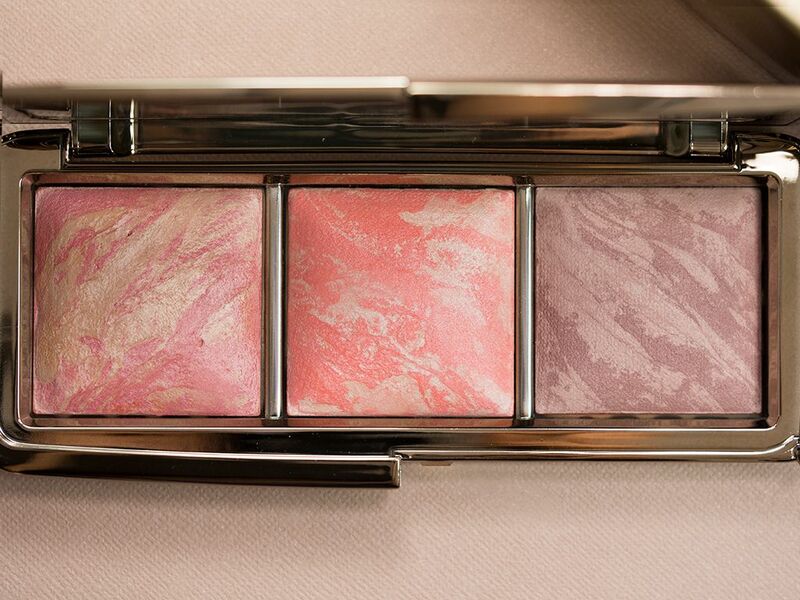 It's lovely that they included 2 permanent shades from the original Ambient Lighting Blush range, Luminous Flush and Mood Exposure, because the original shades are highly praised. That's not to say I don't like the limited edition shade Incandescent Electra because I do, so very much. 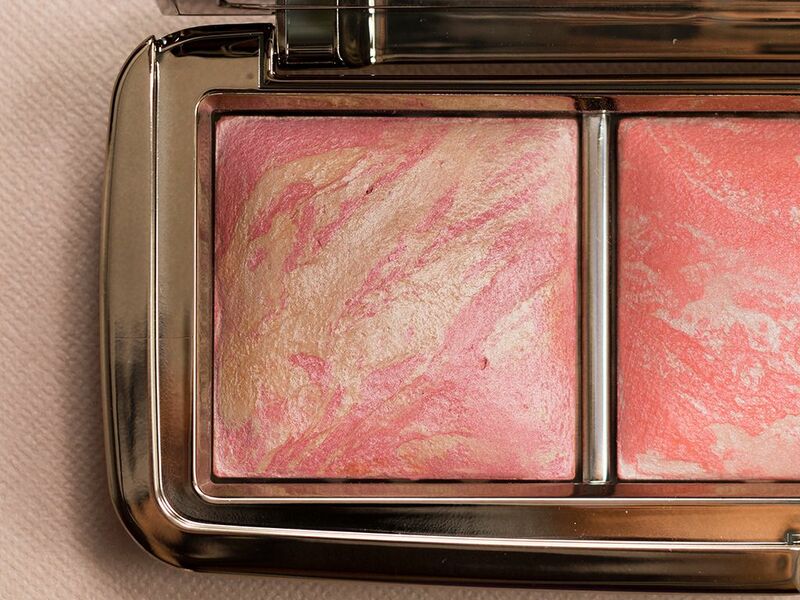 Luminous Flush is described a champagne rose but it looks more to me like a warm pink with a luminous sheen. Incandescent Electra is a peachy pink colour with shimmery finish. 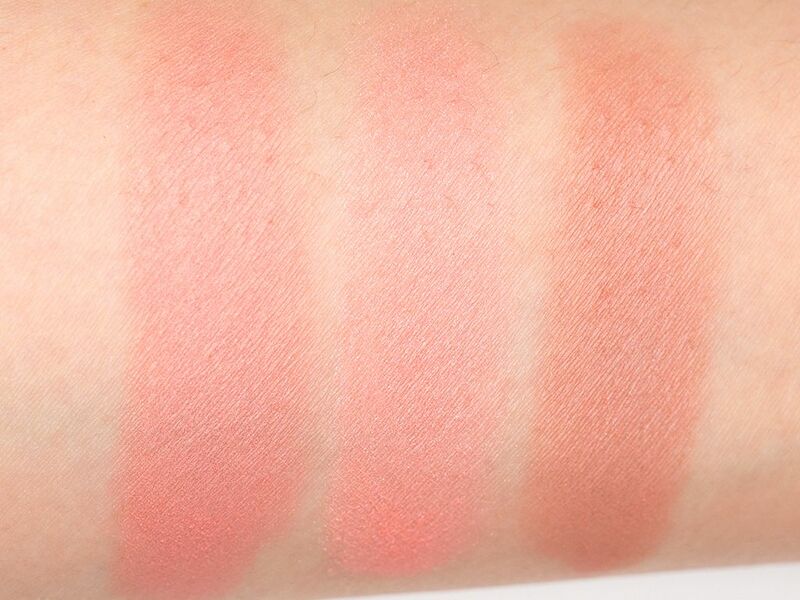 Mood Exposure is a rosy plum with soft sheen. These colours are going to look slightly different from pan to pan because each of the shade are hand mixed and unique to its own. 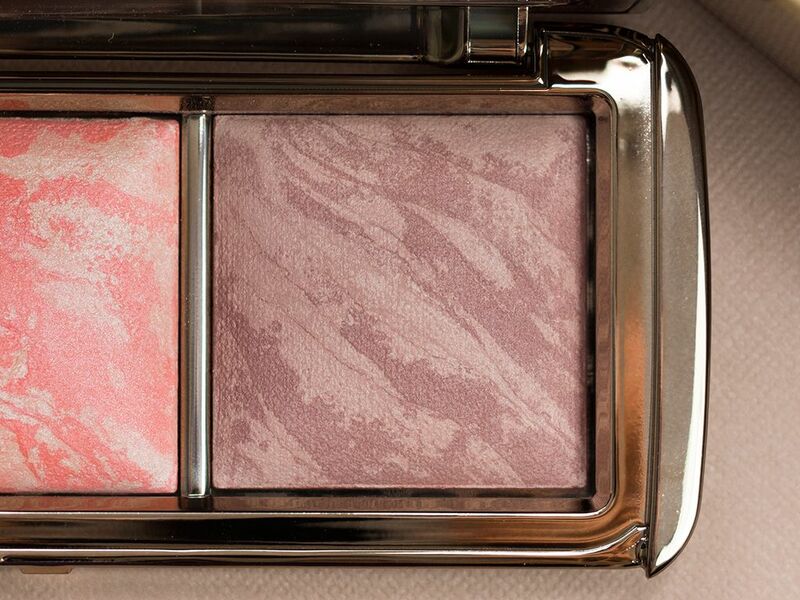 Depending on how much blush colour vs. ambient lighting powder there is, you'll get a different mix and varying finish. For example, my Luminous Flush seem to have quite a bit of Luminous Light in it which means I can probably skip highlighting when I have it on. While my Incandescent Electra has a great amount of colour, my Mood Exposure seem to be equally divided. Therefore, you really need to test it out before applying it on for the first time. I suggest starting with a light hand and slowly add more until you figured out how much colour you will need from each colour. I would have to say there is a big disadvantage in buying this online because you can't really choose the mix. You can add to your cart, pray and hope it arrives in the mix you want it to be. 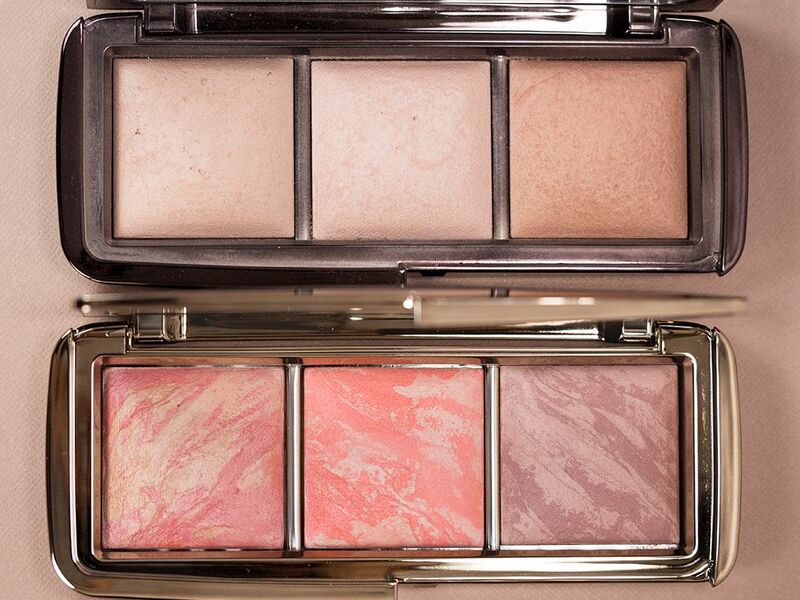 These powders are smooth and they never look powdery on your skin. The wear is surprisingly well that it lasted a whole work day for me (about 8 hours). But they are very delicate which make them non-travel-friendly. 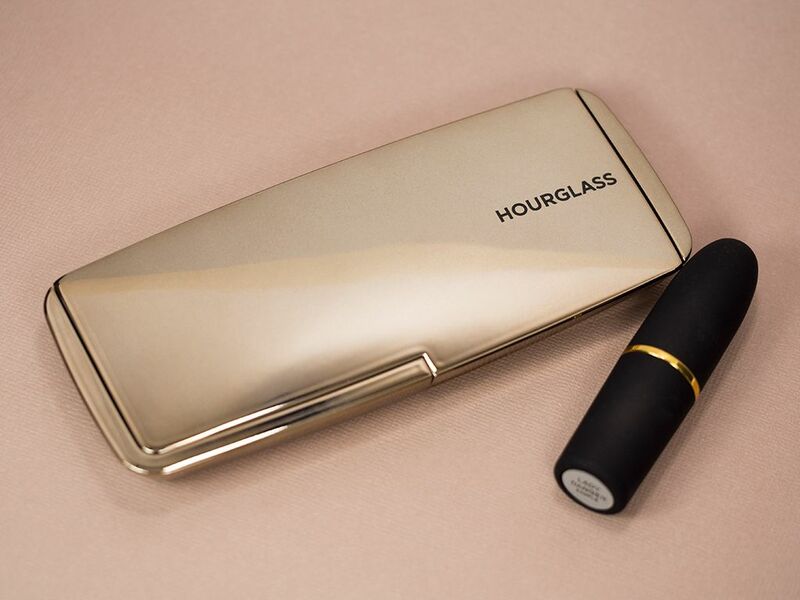 While it comes in a convenient package, the packing is made plastic and it's light (similar to the Hourglass Ambient Lighting Palette, which has now made permanent status due to its popularity), which make it even more prone to breakage. Even if it comes with a more durable container, I would not take it with me on a trip. That said, I would still highly recommend this palette. For 1) it is of pretty good value considering the full size is $47 for 0.15oz and the palette costs $67 for 0.33oz of products (quick summary: it costs less than 2 full size to get the palette that has more product in it); and 2) the shades are just too gorgeous to pass off. 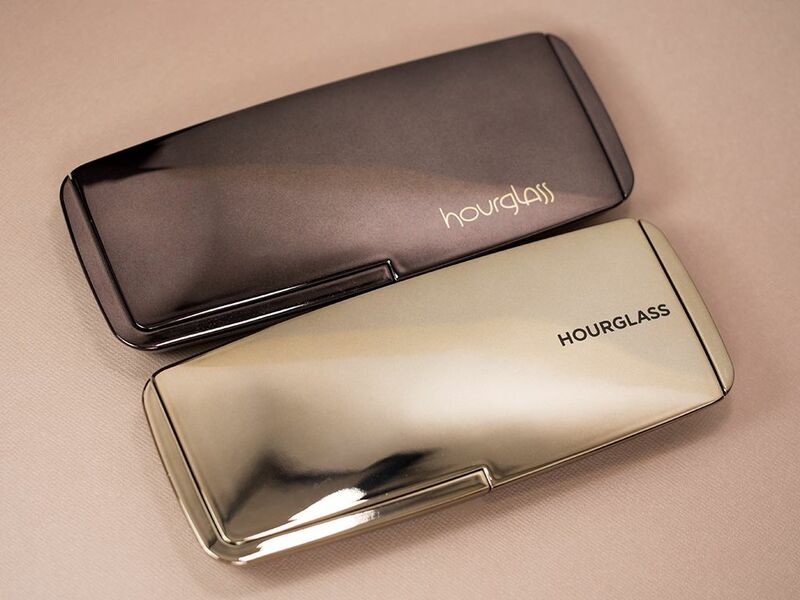 If you don't already own the two permanent shades it includes, this will be a great palette for you, especially if you have been lusting the original Hourglass Ambient Lighting Blushes. All in all, it gets a big thumbs up from me (i.e. a big fat A). If you also want this palette, you may want to check my giveaway out!